1) All Taxicabs are licensed and insured: verified with up-to-date inspection and operating permit decals. ◊ Taxicab Meter Rates: Start at $2.95 first 1/6 of a mile $0.85 Each Additional 1/6 of a mile up to the 1st mile, $2.40 Each mile thereafter. Waiting is $0.40 per minute. 3) Taxi drivers are registered and required to display their registration license on the dashboard next to the taximeter. We promise a reliable booking and always on-time arrival. Expect a sophisticated cab with up-to-date equipment. Enjoy a comfortable ride in a cab with proper cooling, space and hygiene. Our drivers are legally licensed and highly qualified to provide a professional service. Easily book a taxi with our convenient mobile app. Enjoy a 24/7 cab service that is consistent at all times. Expect a 24/7 customer service phone line at your disposal. Our cars are guaranteed to be in optimal mechanical conditions. All of our cars accept and are equipped with a credit cards charging solution. Our services offer fare rates that are strictly in accordance with local regulations. 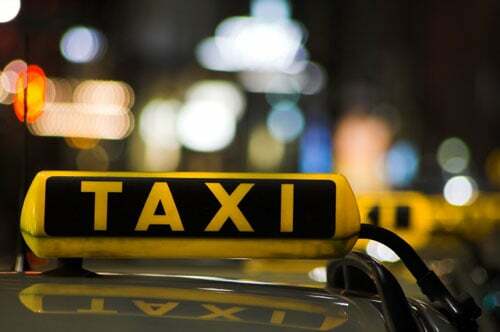 Receive a superb cab services by Super Yellow Taxi.